The time has finally come to begin letting you know who will be hitting the stage at Hordes X in 2019! We’ve been working away behind the scenes to pull together the very best of our clan of bands, and the initial three are now publicly announced! The first of our fresh meat are inextricably linked to the existence of the event: Threshold Sicks. With members past and present having built and run the original Hordes Of Belial, their appearance was a mainstay in the early years. 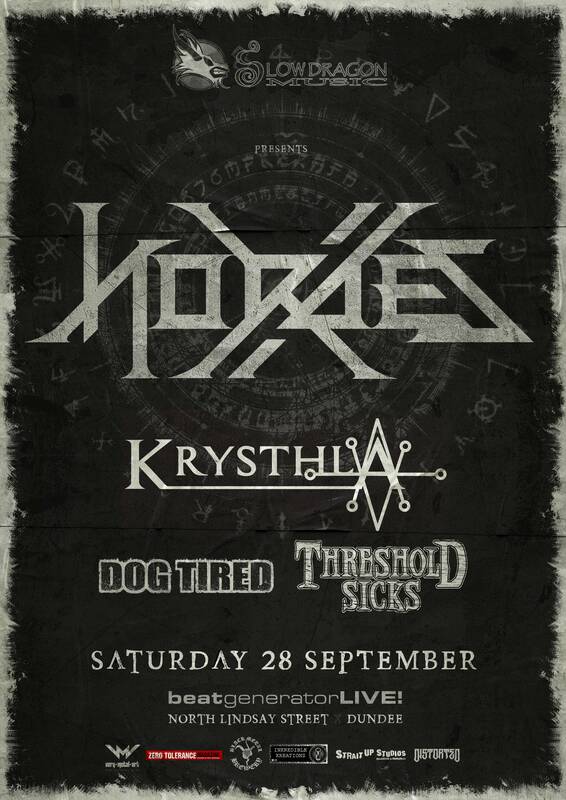 Hordes X, however, is the first time they will hit the Hordes stage in half a decade, having last performed there as main support to Newcastle headliners, Def Con One. Currently in the process of mixing and preparing for the release of their second album, Beat Unmerciful, Threshold Sicks deliver a unique take on death-thrash-sludge metal. The second of our terrible trio for today are no less of a legend among the ranks of the Hordes. In fact, they have also graced around half of the events under the old name, to secure themselves an eternal place in all our hearts. There’s no question the had to return to celebrate ten years. Hailing from in and around Scotland’s capital, Dog Tired are widely recognised as one of the nation’s finest underground exports. After spending the last year building up a portfolio of live appearances, in the UK, Eire, and on the continent, they are now working on their fourth full-length, the follow up to 2016’s It Came From The Sun. Finally, we’ve grabbed hold of one band in particular over the last couple of years, for their incredible live show and superb releases. 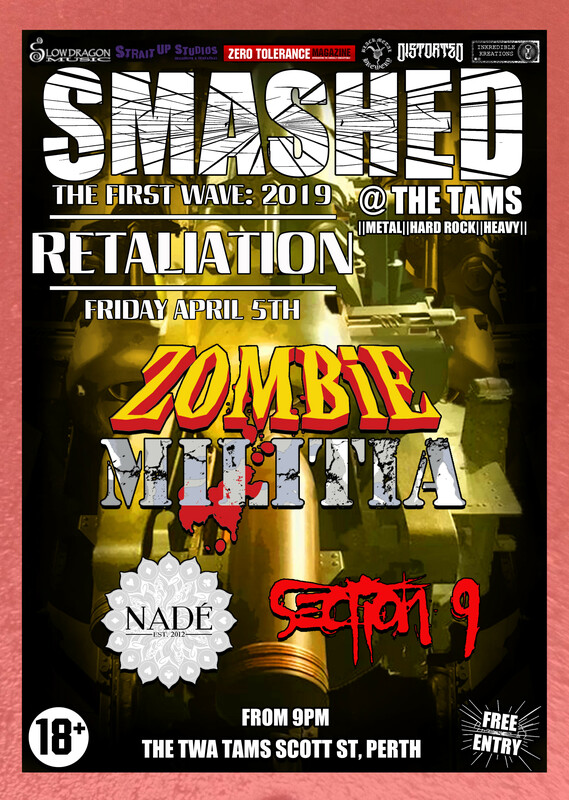 You might have seen them ripping chunks out of Mammoth Fest, Slaughterpit, Uprising, Hell On Perth, Bloodstock, Badgerfest, and the very last Hordes Of Belial, or will be witnessing it at Amplified and/or Hammerfest. Now putting the final graft into their third album (to be titled World Negative), Krysthla are a beautiful beast of a band, who look set to do a marvelous job of representing the UK metal scene on a global scale. When people say ‘get in and see them up close, before you can’t‘, this is the kind of band they talking about. They have a multitude of metal sins ahead of them, and we are incredibly proud to host them as headliners of the very first Hordes X. Tickets are due to go on sale soon, with the event taking place, as usual, on the last Saturday in September, across both stages at Beat Generator Live, Dundee. There are plenty more bands to be announced, so keep up to date by following Hordes and Slow Dragon Music on Facebook. More details will start rolling in very soon! Posted in Latest News and tagged Beat Generator Live, Black Metal Brewery, Distorted, Dog Tired, Dundee Gigs, Hordes Of Belial, Hordes X, Inkredible Kreations, Krysthla, Lineup Announcements, Live Metal, Live Music, Metal, Metal Festivals, Metal News, Scottish Metal, Slow Dragon Music, Strait Up Studios, Threshold Sicks, Very Metal Art, Zero Tolerance, Zero Tolerance Magazine.